The beetroot is both colourful and has several health benefits. It is used in a variety of dishes as you will see in this blog where I have recipes for Beetroot Bharth, Beetroot Soup, and even Beetroot Halwa. 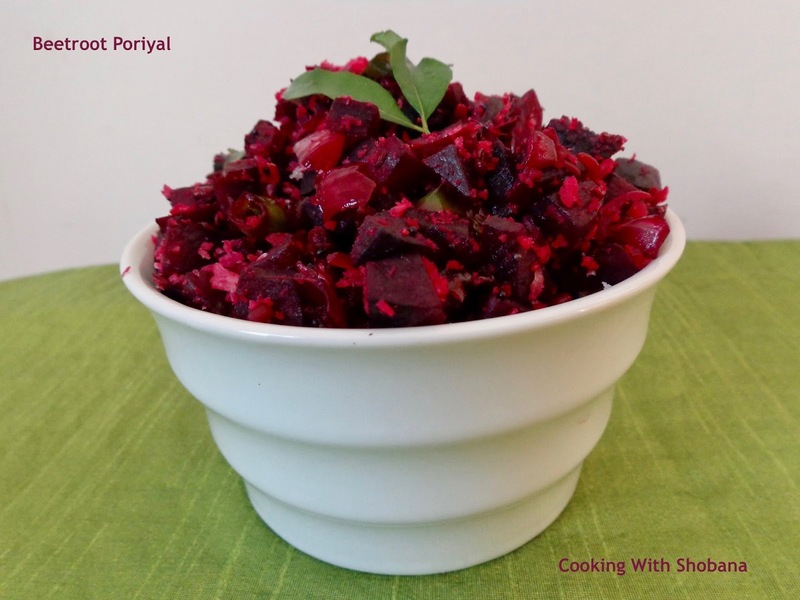 Today's recipe is from Tamilnadu and is called Beetroot Poriyal. It is an easy to make stir fry served with the main meal as a side dish. Wash, peel and cube the beetroot. 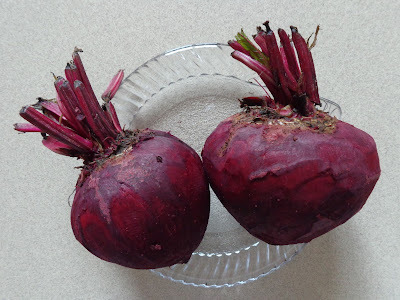 Steam cook the beetroot in a pressure cooker for 2 whistles. The beetroot should get cooked yet remain firm. Keep aside. Heat oil in a pan and when it gets hot, on medium heat add mustard seeds, when they splutter add cumin seeds and urad dal. Saute till the dal changes colour.